The show’s animated film How I Spent My Summer Vacation taught Donald and Stephen Glover about short story structure. 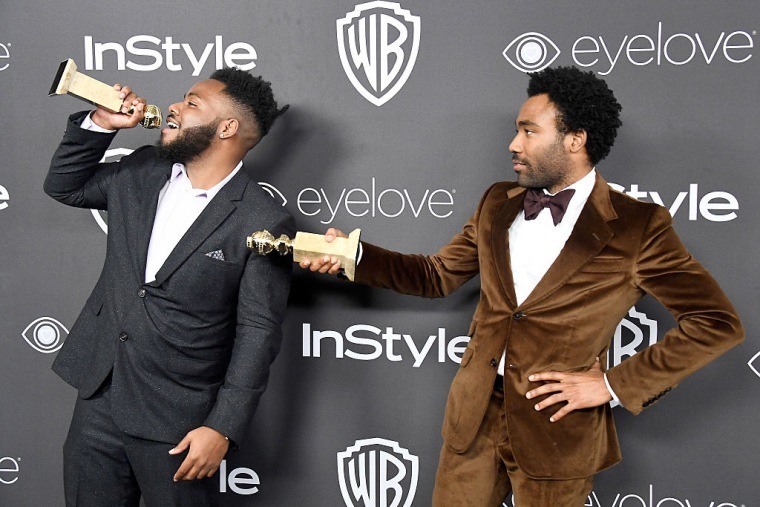 The fundamentals of how to tell a story are ingrained into us from childhood, and at the Downtown Los Angeles premiere of Atlanta's second season, show creator and star Donald Glover revealed that he learned the benefits and particulars of short stories from the '90s animated program Tiny Toon Adventures. Variety writes that the format of the cartoon, specifically its made-for-TV film How I Spent My Summer Vacation, "helped determine the structure" of Atlanta's new season. “There’s something really special about short storytelling,” Donald Glover told Variety, mentioning that he and his brother Stephen grew up watching Looney Tunes. “So, we just wanted to make something where you could come in and watch these or you could watch them all as a whole and it’s still fulfilling.” It was the structure in that Tiny Toons movie, Variety writes, that helped executive producer Stephen Glover and the writers string together the season's stories into a non-linear narrative. The show's director Hiro Murai offered a Kanye West analogy to echo Donald Glover's comments that Atlanta's new season was much different from the first. “Last season was [The] College Dropout. This season is Late Registration,” Murai told Variety. The new season of Atlanta, entitled Atlanta: Robbin' Season, premieres March 1 on FX.